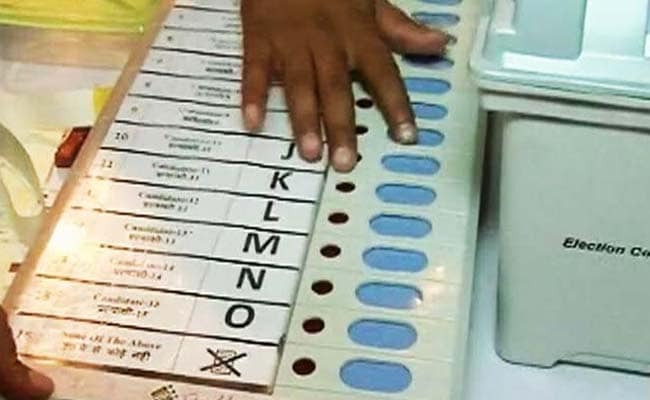 New Delhi: Favouring simultaneous Lok Sabha and assembly polls, the Election Commission today said all political parties need to be brought on board before such an exercise is carried out. "The Election Commission has always been of the view that simultaneous elections will give enough time for incumbent government to formulate policies and implement programmes continuously for a longer time without interruptions caused by imposition of model code of conduct," Election Commissioner OP Rawat said. He said conducting the polls together would be possible only when necessary changes in the Constitution and Representation of the People Act are carried out. Existing legal and constitutional provisions mandates that elections are to be held within six months ahead of the end of the term of a state assembly or the Lok Sabha. Mr Rawat said after the constitutional and legal framework are in place, it would be feasible to seek all the logistical support and conduct simultaneous elections. "Commission may conduct such elections after six months," the Election Commissioner said. He said bringing all political parties on board is an imperative for holding the simultaneous polls. The assembly elections for Andhra Pradesh, Telangana and Odisha are due in mid-2019, along with the next general polls. Mr Rawat said the Election Commission was in 2015 asked to give its view on the synchronised polls. "The Commission gave its views on the matter in March that year. It had suggested few steps that need to be taken before such elections are made feasible," he said. Mr Rawat said it would be logistically possible to hold the elections together if sufficient time is given to the Commission. There will be requirement of 24 lakh each electronic voting machines or EVMs and voter verifiable paper audit trail or VVPAT machines. "We need two set of EVMs -- one for Lok Sabha and another for the Assembly polls," he said.